DC Gear Motors|Stepper Gear Motors|mikron 79|mikron 132|in Mumbai|India. M.MESTRY ENTERPRISES Offer wide range of high quality precision gears, which are used in applications under conditions of light loading. Precision Gears are those types of gears which are capable to providing accurate motion in different loads and they are known for smooth performance and accurate result, precision gears used in measuring devices, automation instruments etc. Conforming to the international quality standards, these precision gears are available in several sizes and dimensions to meet the demands of our clients. M.MESTRY ENTERPRISES engaged in offering Timing Pulleysthat are extensively used in various industrial applications. 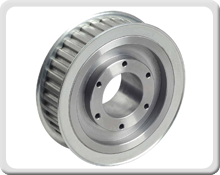 Its Light weight and high precision, has helped us to stand as the most well-known timing belt pulleys manufacturer and supplier, based in India. These are essential in different equipment where timing of both the drive is precious and the display ratio is significant. Besides, these have advantage over other pulleys in the case that it can be eliminated slippage and maintain constant angular velocity. These are so reliable and durable. 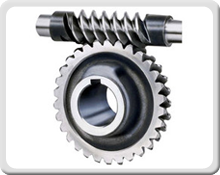 M.MESTRY ENTERPRISES manufacturers and suppliers of Helical Gear.Helical Gears for industrial applications are manufactured to good quality standard & recommendations. 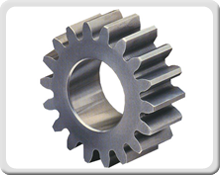 We also manufacture gears as per customers' requirement and specifications and also provide designing facilities for gears. We produce the best quality and Standard Range Helical Gears.The helical gears are those type of gears having the teeth at any angle other than 90 degrees to the face of the gear. M.MESTRY ENTERPRISES designs and engineers an extensive range of worm gears,available in different ratios in accordance to individual requirements. Worm gears are usually compact and serve as efficient means of speed reducers in diverse industries. 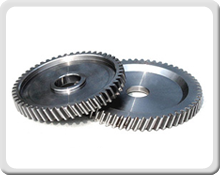 Offering Worm Gears are very useful gear for different industries. Worm Gears are used when large gear reductions are required. Worm gear has a unique property of easily turning the gear. The gear cannot turn the Worm because the angle on the worm is shallow and when the Gears try to spin the worm, the friction between the two holds the worm in place. 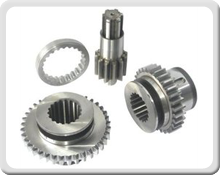 We are one of the leading manufacturers of precision gear and gear products. The range of gears manufactured using Mikron 79 and Mikron 132 gear hobbing machines are recognized as the best in the market. Our gear hobbing machines such as Mikron 79 and Mikron 132 are always in well maintained condition thereby having the potential to fabricate gear and gear products in bulk quantity. The gear hobbing machine Mikron 79 and Mikron 132 are the most advanced machines thereby ensuring smooth and flawless production of precision gear and gear products at our manufacturing unit. They also manufacture Precision Gears, DC Gear Motors,gears manufacturers using MIKRON 79,Gear Hobbing machines and MIKRON 132Gear Hobbing Machines as per the customers’ requirement. In addition, their products find wide applications across various industries.